Vidyasagar Setu (Bidyasagôr Setu), also known as the Second Hooghly Bridge is a toll bridge over the Hooghly River in West Bengal, India, linking the cities of Kolkata (previously known as Calcutta) and Howrah. With a total length of 823 metres (2,700 ft), Vidyasagar Setu is the longest cable–stayed bridge in India. It was the second bridge to be built across the Hooghly River; the first, the Howrah Bridge (also known as Rabindra Setu) 3.7 kilometres (2.3 mi) to the north, was completed in 1943. Named after the educationist reformer Pandit Ishwar Chandra Vidyasagar, it cost ₹3.88 billion to build. 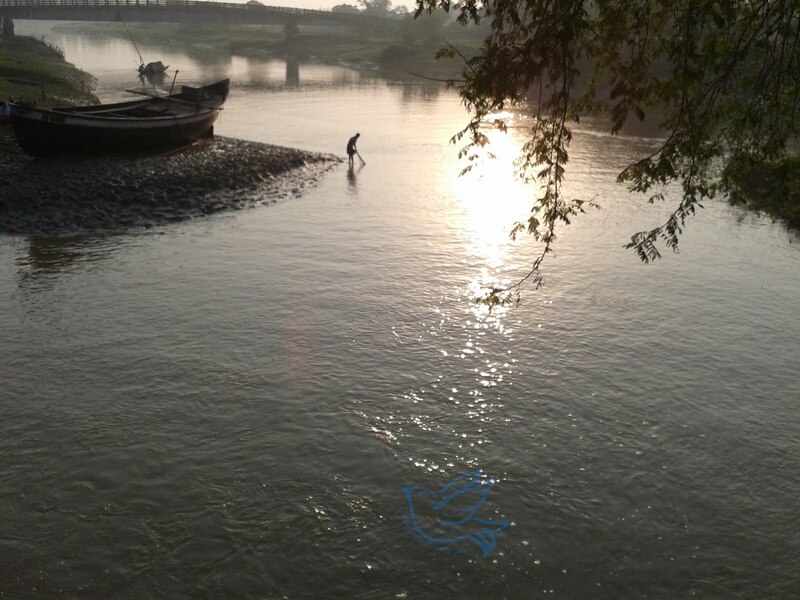 The project was a joint effort between the public and private sectors, under the control of the Hooghly River Bridge Commissioners (HRBC). Howrah Bridge is a propped cantilever bridge with a suspended span over the Hooghly River in West Bengal, India. Commissioned in 1943, the bridge was originally named the New Howrah Bridge, because it replaced a pontoon bridge at the same location linking the two cities of Howrah and Kolkata (Calcutta). On 14 June 1965 it was renamed Rabindra Setu after the great Bengali poet Rabindranath Tagore, who was the first Indian and Asian Nobel laureate. 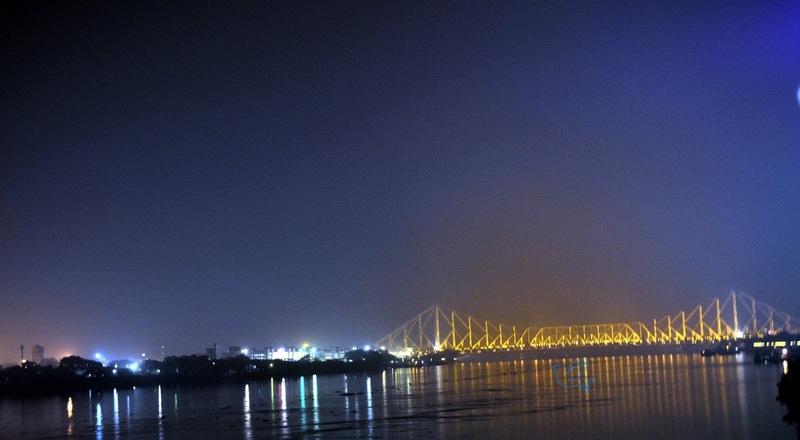 It is still popularly known as the Howrah Bridge. 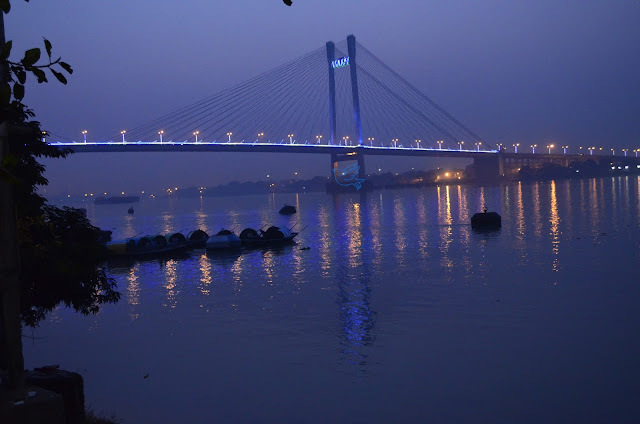 The bridge is one of four on the Hooghly River and is a famous symbol of Kolkata and West Bengal. 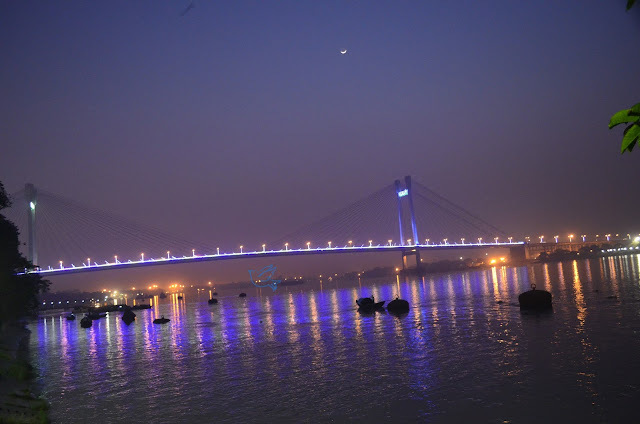 The other bridges are the Vidyasagar Setu (popularly called the Second Hooghly Bridge), the Vivekananda Setu, and the newly built Nivedita Setu. It weathers the storms of the Bay of Bengal region, carrying a daily traffic of approximately 100,000 vehicles[ and possibly more than 150,000 pedestrians,[easily making it the busiest cantilever bridge in the world. The third-longest cantilever bridge at the time of its construction, the Howrah Bridge is currently the sixth-longest bridge of its type in the world.